USB radio communication interface for Radio and FullRadio data loggers. 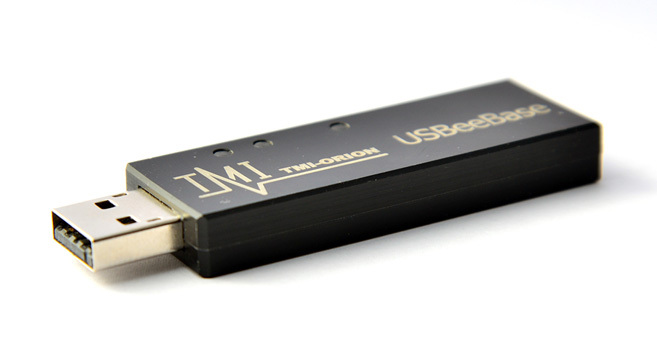 The USB Radio Transceiver is a radio 2.4 GHz communication interface connecting the PC to TMI-Orion radio or FullRadio data loggers. As small as a USB flash drive, this interface operates with Qlever software for remote and wireless setup and starting of FullRadio loggers as well as real time or after the process data transmission and reading. This device complies with European directive: Radio Equipment Directive 2014/53/UE.